Fifth generation farmer Dean Wright returned to the family dairy business with a determination to increase its efficiency. Barbara Collins finds out why producing cheese from his own pool of milk has helped him find his niche. A home-made triple cream cheese will soon begin production ahead of its launch into the UK market. Creator Dean Wright is the fifth generation to farm the family land near Portadown, County Armagh, and is making sure he is maximising its potential. Wright’s Farms began as just a 0.8ha (2-acre) plot in 1820. Dean took it over in 2007 from his father at 81 hectares (200 acres) and since then has almost doubled in size to 125 hectares. 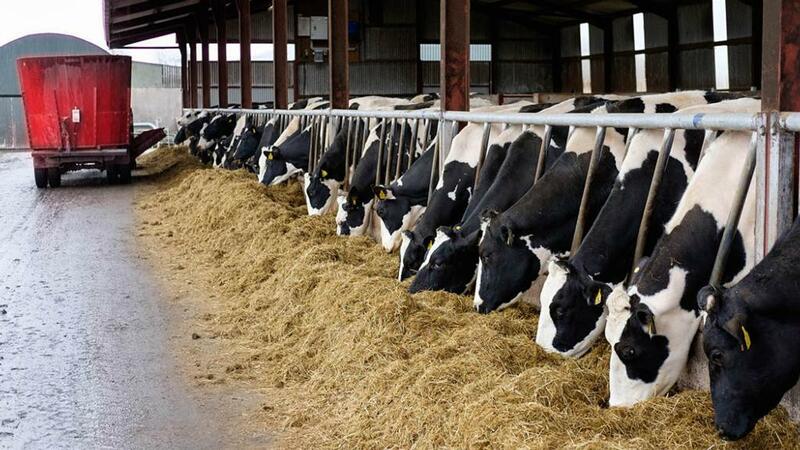 There are currently 200 Friesian dairy cows, 50 dairy replacements and another 200 Aberdeen Angus and Belgian Blue beef cattle. “They are the breeds which were on the farm and I saw no need to change them. They were good all-round performers.” says Dean. “Everything born on the farm stays on the farm to preserve the herd’s high health status. Dean’s background is in the meat sector, where he was a production manager at ABP Food Group in Ellesmere, and then general manager for ABP in Perth. He eventually returned to Northern Ireland to become a factory manager at Linden Foods, another meat processor. In 2007, Dean wanted a career change and decided he was going to take over the family farm and create a niche food product. “There were numerous butchery farm outlets and I wanted to do something different, but every time I thought of doing it, some land came up for sale nearby so I spent the money on that instead,” he adds. Initially, Dean wanted to bottle his milk after receiving good help from Invest NI – Northern Ireland’s regional economic development agency. “I studied their figures on the dairy sector which were broken down into milk, cheese, yoghurt, ice cream and butter,” he says. There are still only a handful of cheesemakers in Northern Ireland and Dean believes he is the only farm cheesemaker who owns his own milk pool. “To do something fully traceable is very important to me,” he says. “Everything we do is based around provenance and herd health. “We have worked very hard on the farm over the past five years to bring the use of antibiotics down by 60 per cent. Our ultimate goal is antibiotic-free milk. Dean hopes to introduce the Norwegian Red breed into the herd which, he says, is known for herd health and fertility. Key investments on farm have included buying land and the machinery to do all of their own contracting work on the farm. This enables Dean and his team to complete their own soil preparation, ploughing and cultivation, spreading 90 per cent of their own slurry and making their own silage. “The quality of the silage is really important because it is such a big part of what the herd eats,” Dean says. “Ours is 40 per cent dry matter, 12 per cent ME, 16-17 per cent protein with a Devalue of 115+. “We do four cuts a year starting on May 1 and then at six-week intervals after that. 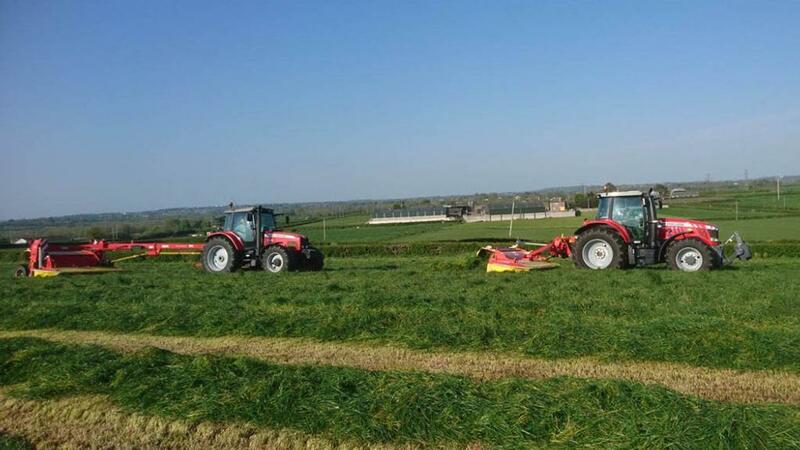 “The grass and silage are supplemented with soya beans, maize meal and soya hulls, and we also grind our own wheat and barley on the farm and feed the herd whole crop wheat as well. Working alongside Dean is farm manager James McKee, who takes care of the day-to-day running of the farm. “James has been with us for eight years and brings 45 years of animal husbandry and welfare to the business,” Dean says. “This then frees me up to concentrate on developing the business strategies after I do the first milking. Asked what one of the biggest challenges has been, Dean admits the fluctuation in the milk prices was the catalyst that ultimately led to his decision to make cheese. He started by taking advice from businessmen in the agri-food industry including included consultants, business owners, farmers and chefs who all advised making cheese. He then went on consult dairy technologist Gary Andrews at Loughry College. “I told him I wanted something very special which would appeal to a niche market. It was never my intention to go for the mass market,” Dean adds. The first cheese is the flagship Ballylisk Triple Cream. The name Ballylisk comes from the place where the family farm is. “Food critic Charles Campion tasted the Triple Cream cheese in early 2017 and advised us of some changes. It was then launched at the BBC Good Food Show in Belfast in November 2017,” Dean says. “I made sure I listened to the experts and I think what we have now is pretty special” says Dean. The Triple Cream is about to go into commercial production and will be sold in delis and speciality food suppliers across the UK and Ireland and to export markets. The only funding Dean received for the cheese production was Innovation Vouchers from Invest NI. They also helped him with funding for the e-commerce website which is about to go live. The cheese is made on a daily basis in a purpose-built facility nearby, acquired in June 2017. At the moment, production is small scale, but Dean’s aim is to utilise the entire two million litre pool of milk within three years, particularly as the facility is designed to cope with expansion. The farm business also comprises 40ha (100 acres) of wheat and barley crops and around 800 store lambs, which are grazed in winter months to utilise excess grass. Going forward, Dean’s focus is very much on the dairy and the further development of more cheeses, including a blue version of the Triple Cream, a soft creamy Brie and a butter. “I think there is definitely room in the market for these kinds of cheeses,” he adds. “We also want to produce a traditional artisan butter – again small batch made in the time-honoured way as simply and as purely as possible.